Protecting your business, employees and commercial assets is essential. With options like various zones, video surveillance, fire protection, and monitoring services we can customize security to meet your small or large business needs. Central Electronic Alarm offers companies the ability to not only have secure monitoring but also have access control and the ability to obtain important reporting on whom, when, and where employees are entering, opening, and closing the place of business. We can even devise specific surveillance systems to help reduce theft and monitor productivity which can be recorded with onsite DVR’s and/or remotely and securely viewed from a computer or smartphone. Employee and customer safety is often of concern. For this, we can help provide an array of panic buttons that will help assist them to instantly notify authorities when necessary. With our knowledgeable specialists and over 50 years in the security industry, Central Electronic Alarm is prepared to help provide your business with its custom security solutions. Central Electronic Alarm offers a variety of home security and video surveillance solutions for your family's protection. With benefits like multiple zones, pet immunity detection, carbon monoxide detection, fire detection, competitive monitoring service rates, and the latest in wireless mobile device connectivity, we can custom design any security solution for your needs. For the family that wants ultimate home protection, you can even control some security and video surveillance systems from your own smartphone. Central Electronic Alarm has the ability to even provide you with a cellular backup security system so you can drop that old pesky landline. Homes without alarm system are 10-15 times more likely to be burglarized than homes with alarm systems. In the U.S. one home is burglarized every 14.6 seconds. Burglaries of residential properties accounted for 73.9 percent of all burglary offenses. Central Electronic Alarm can help you from becoming a statistic. We offer a wide array of security options to fit your family’s needs. Whether you want to demo various security products or you are a “Do-it-yourself” type of person, we have your security answers. Located next to Central Electronic Alarm is our security solution showroom we like to call The Security Bug. 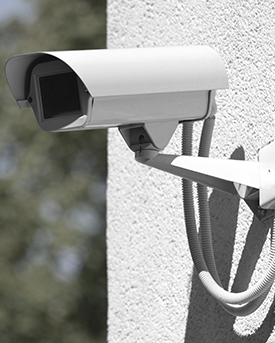 At The Security Bug, our knowledgeable specialists will assist you in custom designing security and video surveillance systems to meet your specific needs. With an array of many different products, we can help supply you with the products and the knowledge of what is needed while instructing you on how to properly install your own systems or service and repair an existing one. Call one of our specialists today for your own private viewing of our showroom.